OSM Scout Server is a native offline maps provider. This server can be used as a drop-in replacement for online map services providing map tiles, search, and routing. As a result, together with the map client, a full offline solution is available for map search and navigation (car, bicycle, and walking). calculate the route between two or more locations. To use the server, you have to start it and configure the client to access it. Poor Maps and modRana have support for the server already with no additional configuration needed. Starting from 0.7.0 release, maps are distributed online and should be downloaded through provided Map Manager interface. NB! When a new backend is added, such as with the release of 0.9.0 and 0.10.0, please ensure that you have subscription information updated. For that, in Map Manager, click on "Check for updates", decline updates, and unsubscribe/subscribe each territory that you have subscribed. After that, proceed with the downloads. This is not needed if you don't want to use the added backend(s). 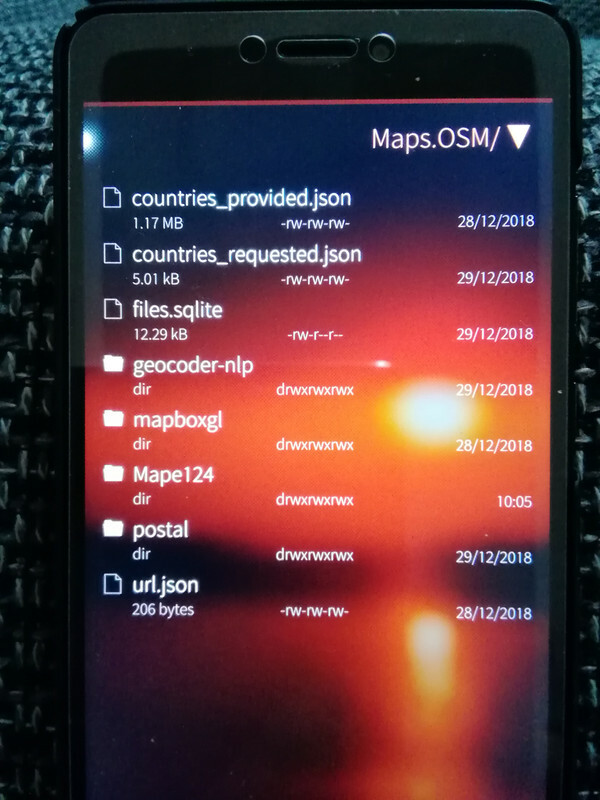 Screenshots show the running server and, as an example client application, Poor Maps accessing the map tiles and calculated route prior to navigation. Map data from OpenStreetMap, Open Database License 1.0. Maps are converted to a suitable format from downloaded extracts and/or using polygons as provided by Geofabrik GmbH. Thank you for this application. It's just great. I use it together with PureMaps. Just a little question: is there any offline map (germany) that shows railway stations? Thunderforest offline would be great. Please see https://github.com/rinigus/osmscout-server/issues/297 . Its possible, but right now its hard to find time for it due to the other issues in front of the queue. 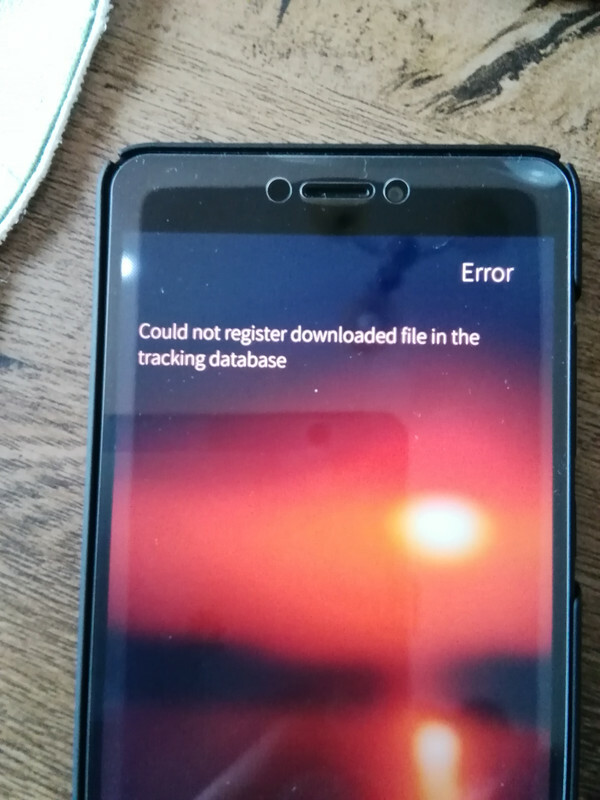 OK, it maybe some problem with the Sailfish port for your device. I don't see how otherwise camera could be influenced as well as why wifi wouldn't work while 4G does. 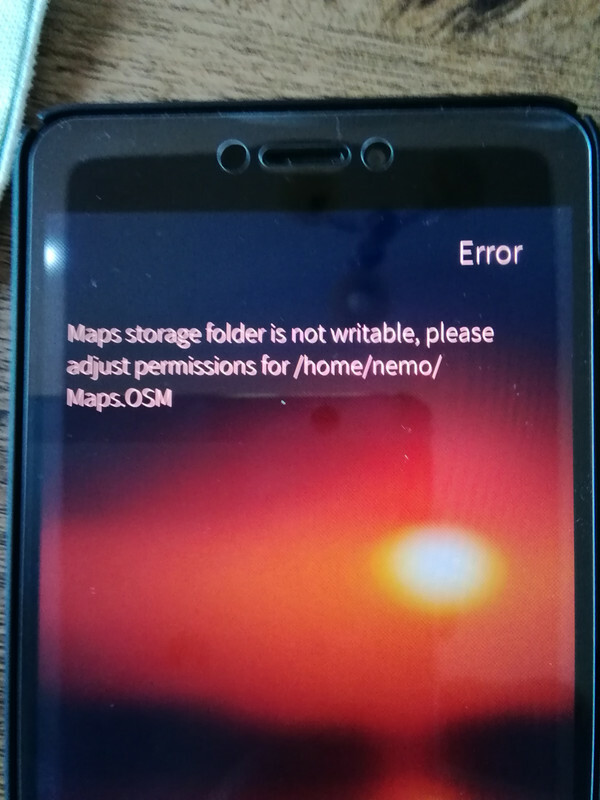 Please ask for help from your port maintainer (XDA or #sailfishos-porters). Camera interaction is strange, no idea where that's coming from. Let's try the following : put the phone on charger and try to download while on charger. This will prevent phone going to sleep and may help us. If its insufficient, try to move away current folder, make a new one and start with some small territory (download while on charger). Let me know how it goes. Also check the logs of the server (shown on the main screen), maybe we can get some info from there. I used new folder, Azores 54 mb size, same thing happened. 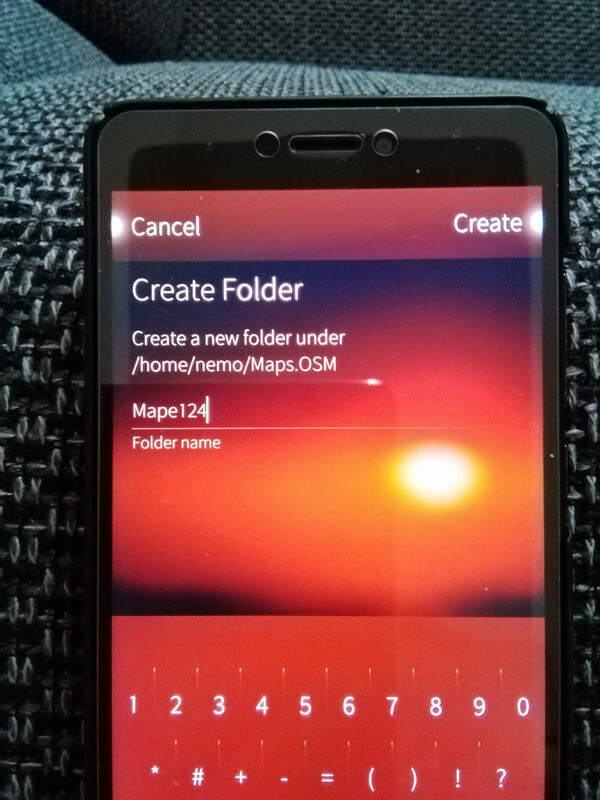 Il try clean install sailfish, then basic software (email...) then pure maps, server scout. Logs are shown on the first screen of the server. See the first screenshot at openrepos, under events section. That's new, don't remember seeing such error. Can you please check permissions for that folder by creating a folder inside it with the file manager, for example. In addition, how much free space do you have? 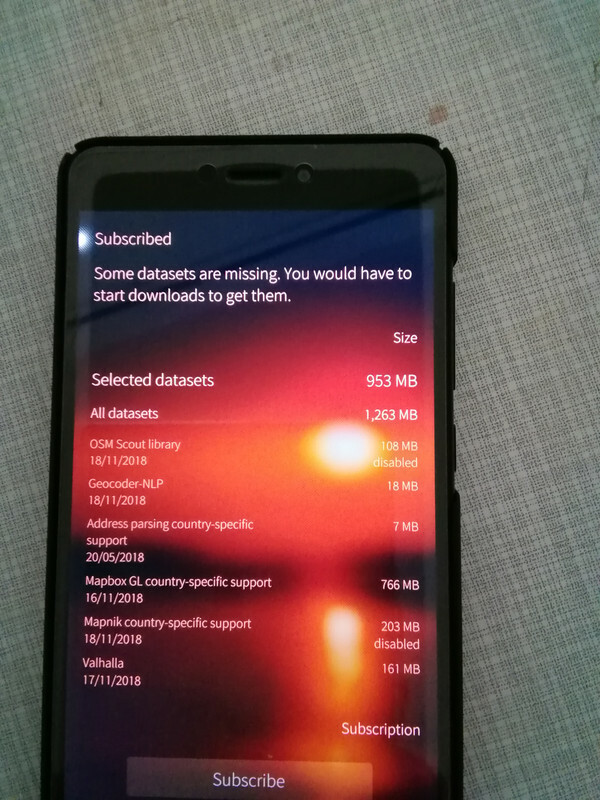 When I release a download, after a while, it shows that message. I try to start the camera, the screen is black and I can not switch to the front camera. Can not use video capture. 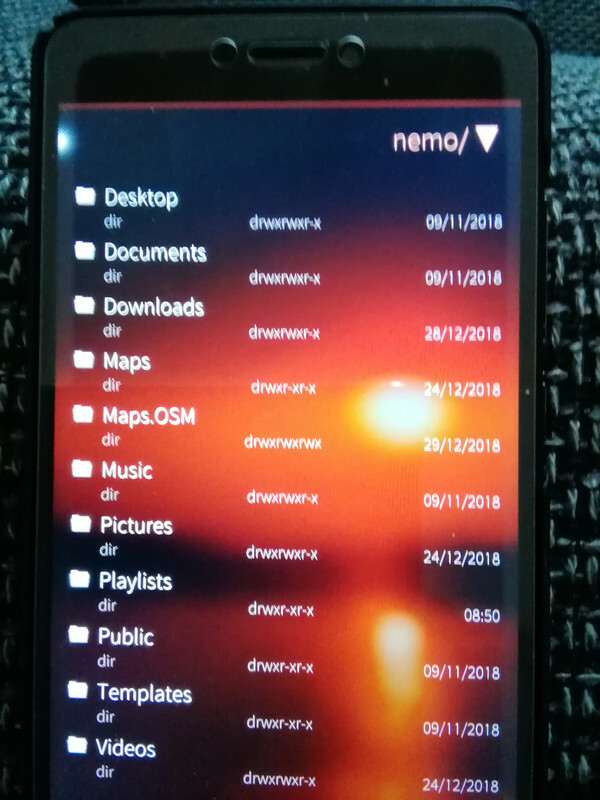 I reset the phone all ok, until I start downloading the maps. Used 2,7 gb, free space 20 gb. I'm installing to memory from the phone . I do not understand what the mistake is. on the tablet i can not install version 1.12. - storeman does not see it. manual install hangs (turns forever). but also existing version 1.11 does not start. i just updated to sailfish 3. but it did not work before also. have you tried pkcon refresh? It's happened to me on the last two updates fir some reason. Why the need to re download maps after each update? The map download process is excruciatingly slow. No, its not after each update. Usually, you are forced to download new maps when the format changes. When updating to 1.12.x from earlier versions, you will be using new geocoder database format that support postal codes and adds few properties for searched items. Hence the latest download. does the OSM scout server poi datas contain the "tags" like the online version? Because there are important to describe the poi. In pure maps, only the address is shown. If I search the place in my example, pure maps shows the main type and the address, the contact:phone and contact:website are't displayed. Please file an issue at github. I am not sure whether it will be implemented, I will have to see how and when I can do it. But its still good to file the issue to not forget about it. If I search for postal code or points of interests along the route with pure maps, I only get results if the same associate map (region) is selected in OSM scout server. In coutrys like france I have no option to download the whole country, so if I have a place near or a route to next departement, the search results are empty, the nearby only shows until department border. In OSM scout server should be a option to choose all maps or a group of. If I serach for a city, I get results of cities even outside of the choosen map. pure maps starts the osm scout server in background, so I need to remember to open it manually and change the map. Or do I miss something out?